Oily skin irritates millions of people out there, but the grass isn’t greener on the other side. Dry skin can be a huge problem, too. Striking that balance with your natural skincare regimen is going to be your aim. When it comes to oily skin care tips, many natural remedies exist out there. You don’t need to use all of them, nor do you want to, but you certainly can fit in what is necessary to your skincare regimen to ensure that your skin isn’t too oily. Just like there are natural remedies for oily skin, there are also unnatural ones. You might not have anything against peroxide or toners, but it is time to focus on all-natural solutions. For example, lemon juice is a popular go-to remedy. You want to use a mixture of water and lemon juice instead of using the juice by itself. Furthermore, you’re going to want to use a natural moisturizer afterwards to strike that balance mentioned earlier. Some of the natural remedies for oily skin don’t require you to moisturize afterwards. What often accompanies oily skin and makes some people wish it was dry skin they had to deal with? If you guessed acne, you are correct. There is a particular natural remedy that not only balances out oily skin, but also works to help your fight against acne. All that is required is a tomato, which you slice open and rub on your face. It’s the vitamin C content in tomatoes, among other things, that make them such a great remedy for oily skin. In fact, you can take things a step further with the tomatoes by creating a facial mask if you like. The only other ingredient necessary is honey. This next natural remedy helps to correct oily skin while at the same time working to keep your skin soft. Milk does a body good and evidently, it isn’t all about just drinking milk. You can also use it on your oily facial skin for its benefits. 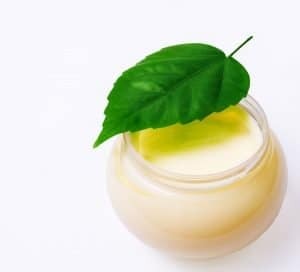 It was mentioned that it softens skin on top of reducing its oiliness, and it is also an exfoliant believe it or not, using natural acids to do the trick. Eggs can also help do the trick, the egg whites specifically. It is all about the vitamin A when it comes to eggs and your oily skin. When it comes to these natural remedies, you also need to realize that they need to remain on your face for certain periods of time. Typically, the average is about 15 minutes, so not only do you have to get used to putting egg on your face, but you have to leave it on there for awhile. Oily skin can be a pain, but perhaps removing excess oil should be viewed as a privilege compared to people with dry skin trying to keep it moisturized. You don’t want to remove all of your skin’s natural oils, and unfortunately, synthetic products can do just that, overdoing it. That is why you looked up natural remedies for oily skin, and you have some to go on.